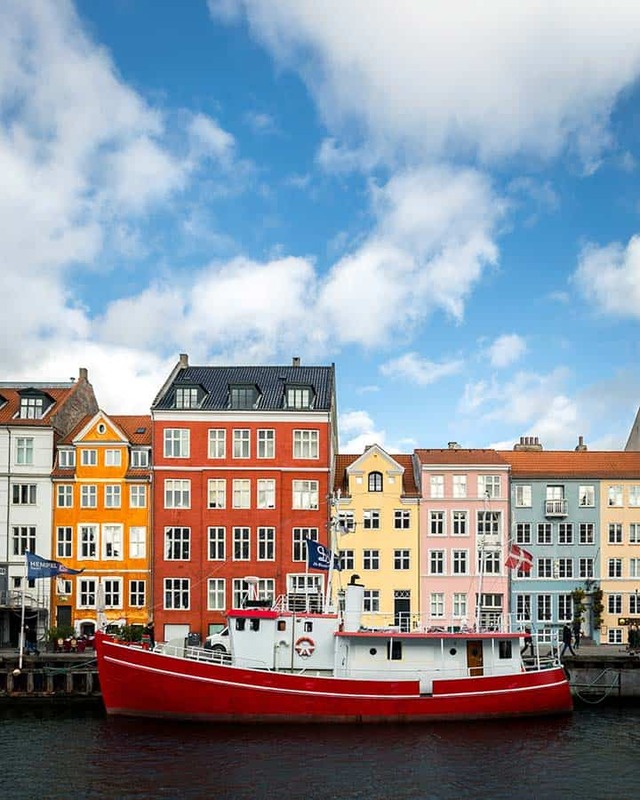 Europe is gorgeous – in winter and summer, all year long. The trick is to know where to visit. 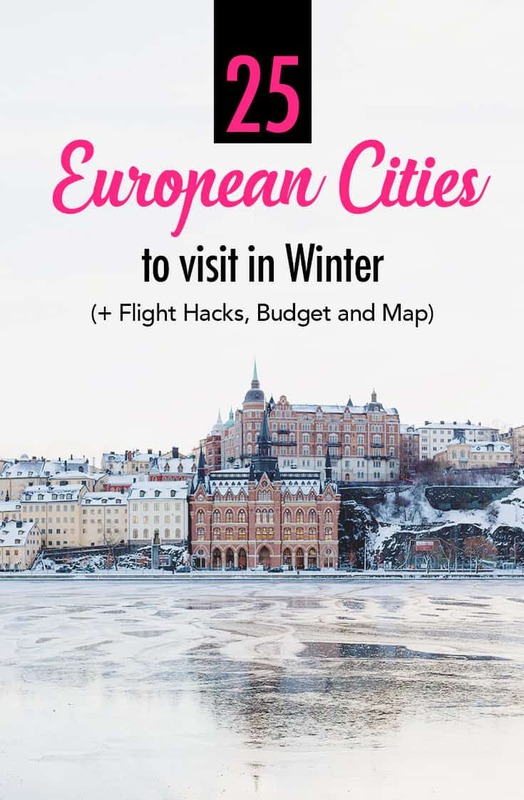 We are Europeans and we’ve visited the big cities and hidden gems at different times of year. 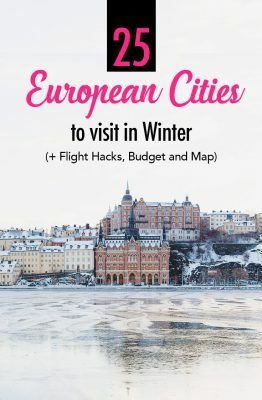 This is my list of the best European cities to visit in winter 2018/ 2019. It’s a brand new article, leading you to cold, warm and beautiful destination from December to March and ahead. So give it a read. We also included approximate costs of accommodation, transport to get here as well as ideas for itineraries. The best website to score cheap flights is kiwi.com. I wrote up a full review about Kiwi.com. 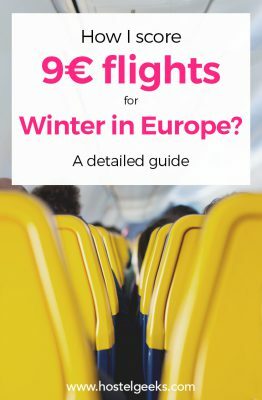 It covers how you can score cheap flights, plus how to find even more winter destinations around you. 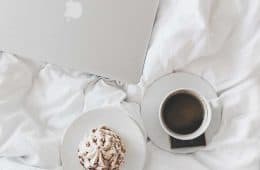 I also included HOW to book and all the other websites I check out BEFORE purchasing anything. Update: I also included now the newsletter I recommend to score cheaper flights. Without any further ado, let us start with some warm weather, food food and beaches: the Canary Islands! Our #1 European winter destination is Canary Islands. Although, geographically speaking, it is Africa, the Canary Islands are part of the kingdom of Spain. Enjoy warm weather, long beaches and amazing Spanish culture. Gran Canaria and Tenerife are the most popular ones. I especially felt in love with Fuerteventura. It is perfect for nature lover, surfers, kite-surfers and beach-goers. The culinary scene is also not to miss. and explore hidden beaches and even a small grand canyon. However, if you prefer nightlife, then Tenerife and La Palma in Gran Canaria are the places to be. How to get to Canary Islands? Check out the flights to Canary Islands here. Just draw a circle of the islands, simple as that. You can also take a ferry to the Canary Islands, BUT: it takes around 1 1/2 days just to get there. Unless you want to bring a vehicle and stay long-term, it is not really an option. Smart tip: Fly first to Madrid or Barcelona. From here you can score cheaper flights plus you can visit a major city in Spain. Also smart: Rent a car. It is the easiest way to get around without the hussle of a public bus. Sixt.com is a reliable website for renting you car in Europe. Let us continue this amazing list with another sunny and warm city. Lisbon is also a fantastic choice during the colder month. July and August are the busiest months, it is tourist-packed over summer. In winter you can enjoy the city at a slower pace. Soak in the culture, and get lost in the culinary scene and nightlife. In the area around Lisbon you can also go surfing all year long. A wet suite is necessary though, but your surf school will share the required details. There are many surf spots dotted around Lisbon. Some of them however remain closed in the colder months. Keep this in mind. 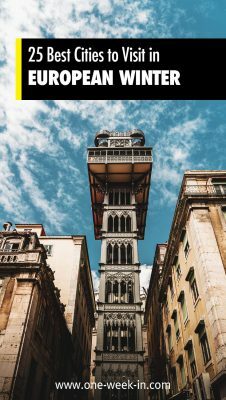 Things to do in Lisbon over winter? 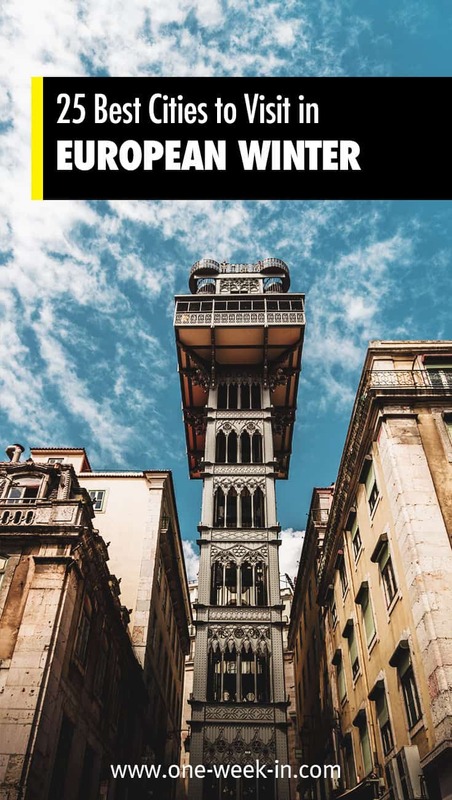 Visit over 23 interesting museums with the Lisbon card. How to get to Lisbon? Lisbon has its own big airport. Therefore, it is fairly easy to get here. Stay central! 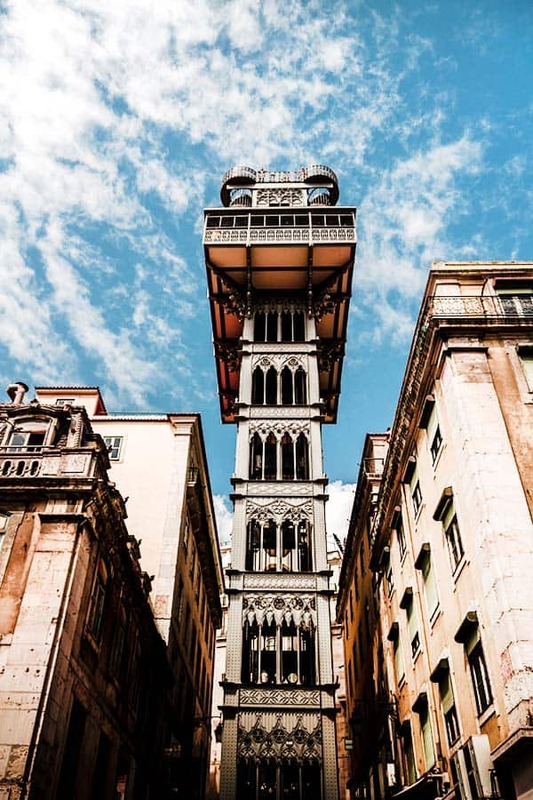 You can find all hotels and guest houses in Lisbon central here. 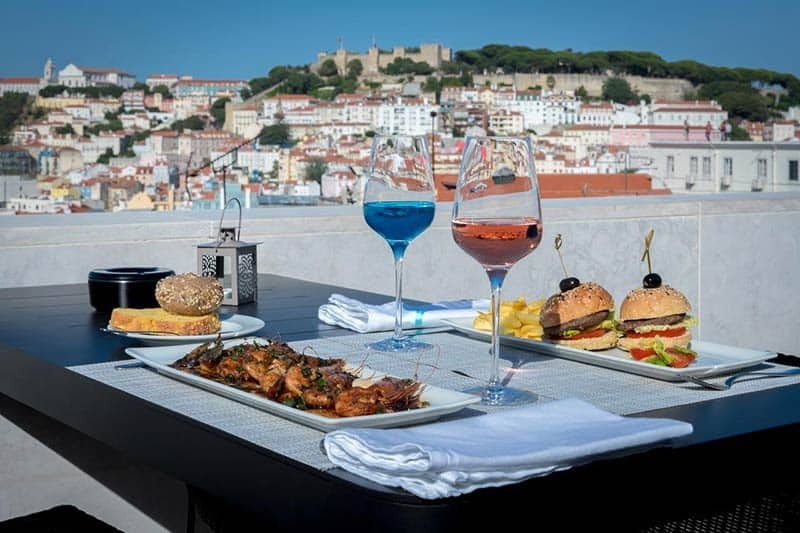 My personal recommendation is the Lisboa Pessoa Hotel. Enjoy breakfast and dinner on the roof top terrace. It comes with an amazing view over the city. 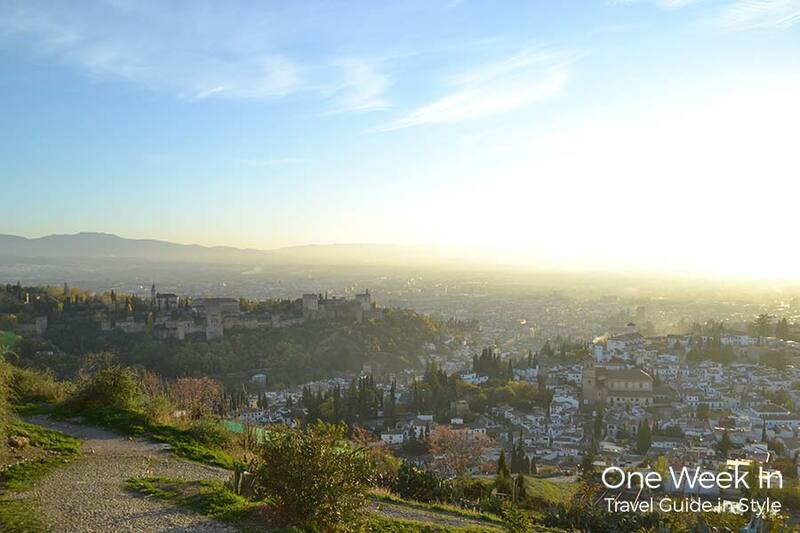 If you are expecting cold destinations in South Spain, Granada is the place! Granada in winter is COLD! However, Granada is sunny all year long. It stands out like a painting. The old town Albaicín climbs up the mountain, the majestic Alhambra rules the panoramic view from every point in the city. In the background, you see the snow covered peaks of Sierra Nevada. The highest mountain on the main land of Spain is snow covered all year long – even in summer. The contrast is spectacular. At winter times you can still expect sunny but cold weather, super tasty food and south Spanish culture to fall in love with. Important: Get your ticket to Alhambra as soon as you can! It is almost impossible to get tickets for the same day. Since this is a must-visit, you should get your tickets to Alhambra here. How to get to Granada? Granada has its own airport as well as a well-connected train station. You can come here from all major destinations around. Easiest way would be to get here by train from Madrid or by flying from Barcelona. Check all flights to Granada here. I love the area of Albaicín, it is the old town climbing up the mountain. If it is snowing, I would stay however in the city center, below Alhambra. Here you can find all hotels in Granada. My personal recommendation: Stay at Casa Bombo! 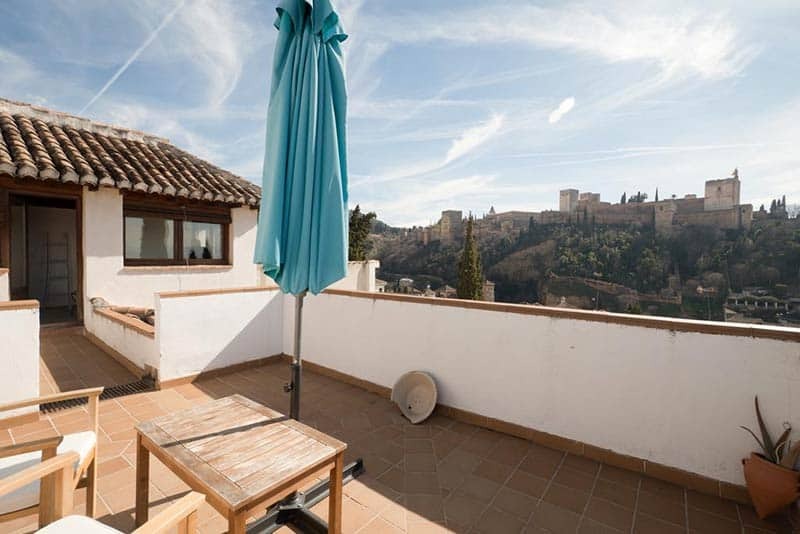 The Casa Bombo comes with a STUNNING view to the Alhambra. This is especially awesome at night since it is illuminated! I stayed here in 2015. The staff was amazing, super helpful. The breakfast was super delicious and the neat design was 100% Granada. It simply loved it here! Smart tip: They have a superior double room in a tower with private terrace. From the bed you have the BEST views. This is the room with the private terrace at Casa Bombo. The room is on the left hand. The only “con” of this room? The bathroom is downstairs. I did not care a bit. It’s worth it the view! A short train ride away from Granada, in direction Lisbon, this is Sevilla. The capital of Andalusia is Sevilla. When visiting Granada, include Sevilla in your plans. The connection is easy, direct and fast via train or bus. Sevilla is a synonym for bull fights and flamenco. Expect nothing less! Here is a short video of Star Wards with Plaza de Espana. Once you walk along here, you will recognize it, no doubt. As mentioned, the train connection is great. You can come here from Madrid, Granada and Lisbon. There is also the Sevilla Airport. It is well connected to the rest of Europe. 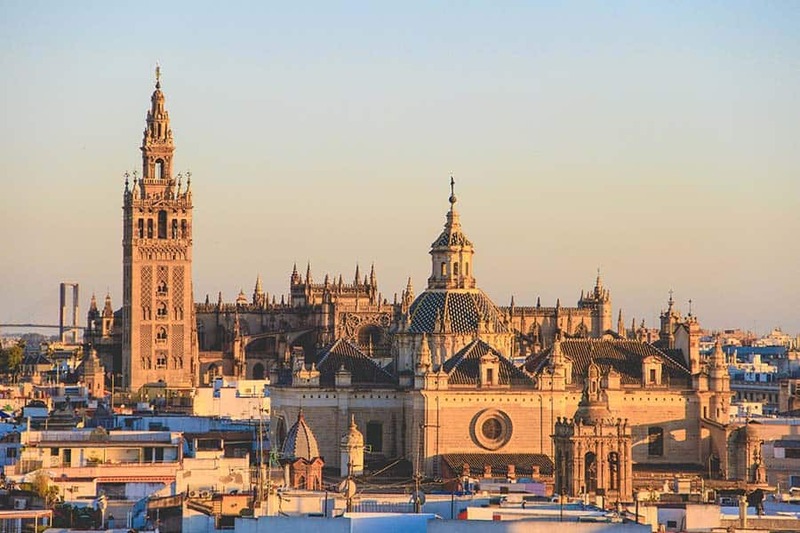 Find your flights to Sevilla here. 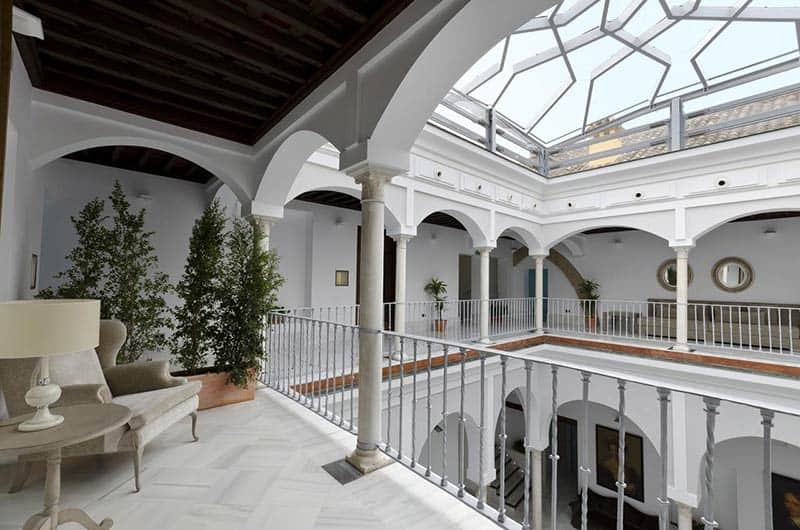 Where to stay in Sevilla? I have been several times to Sevilla. The most enjoyable area was around Old Town. You can find and compare all hotels in Sevilla here. My recommendation is Palacio Pinello. It has an unbeatable location and the interior design is absolutely beautiful. 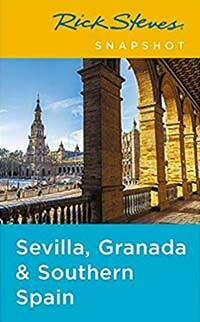 Also, if you are considering Andalusia for your trip, check out the guide by Rick Steves. It covers all the must-sees and some insider tips as well. Further up north, a bit colder, yet magnificent. This is my home: Barcelona. You can find all my articles on Barcelona here. It’s worth it to visit all year long (except New Year’s Eve. New Years Eve is nothing too special in Barcelona, in my opinion). The temperature at day time is around 10-15 degrees, the coldest months are January and February. It can happen that there will be snow. BUT…that only happens every other year, and it’s just a few snow flakes. Seriously, if you are used to snow, this is nothing! In the colder months you can enjoys less crowded Barcelona; less tourists, lower prices. If you are lucky, you can find flights to Barcelona for less than 10€ and accommodation prices drop as well. What to do in Barcelona in winter? Here is my full list of things to do in Barcelona. I also summed up the best things to do in Barcelona at NIGHT. My favorite area is El Born. 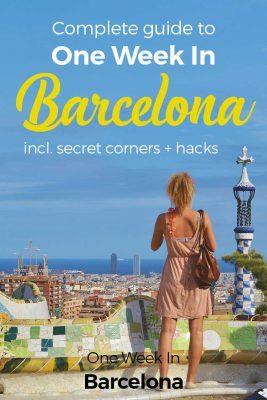 I wrote up a huge guide on where to stay in Barcelona for first-time visitors. I included maps for all types of travelers – from families, couples, solo-travelers. My #1 recommendation for accommodation here is Casa Bonay. 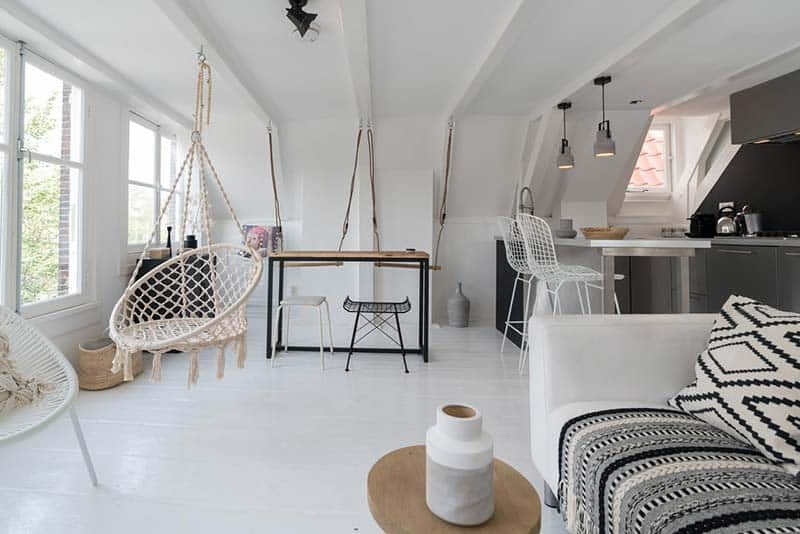 It is located in a typical Barcelona Apartment with hydraulic floors and high ceilings. Traveling more on a budget? 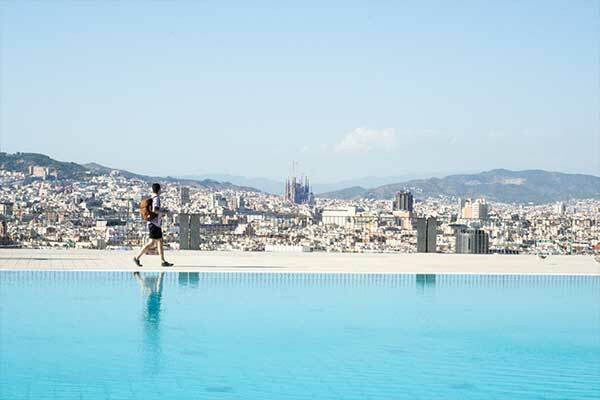 Find the 3 coolest hostels in Barcelona here. Barcelona is one of the best connected airports in Europe. You can fly here from anywhere, basically. Go over to Kiwi.com and find your flights. There is also fast trains from Madrid and Paris. I’ve visited both in summer (September) and winter (December). Both times, I loved it. And both times, a total different experience. In winter times the old town is less busy and usually the city is covered in snow and ice. It is a real romantic city break. 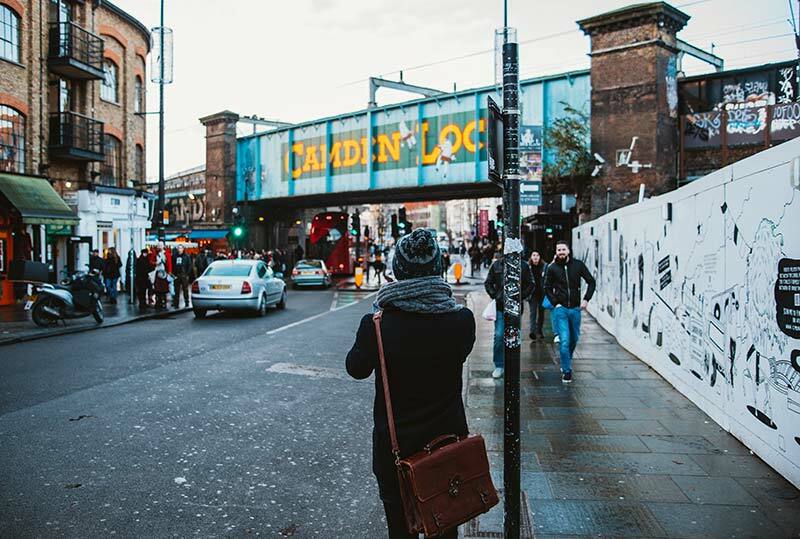 Wander along the famous saint James bridge. Join a tour all the way up in Prague’s castle. It’s a beautiful view from here. The castle is part of key moments of Czech history. 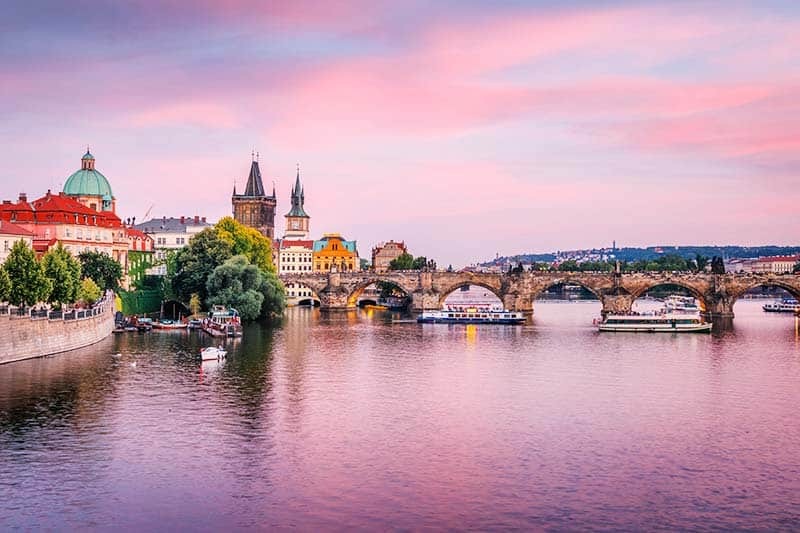 In my itineraries (at the end of this article), I included Prague on the trip between Berlin – Dresden and Vienna – Budapest. I seriously admire the Old town. However, I think that New Town is the hipper part. It is a bit more local and only a 5 minutes walk from the busy Old Town. My #1 hotel in Prague is Bed and Books Art Hotel. It is located in-between Old and New Town, so a perfect compromise for me. They also offer family-rooms, and I really enjoyed their family vibes in general. It feels really homey! Traveling on a budget? 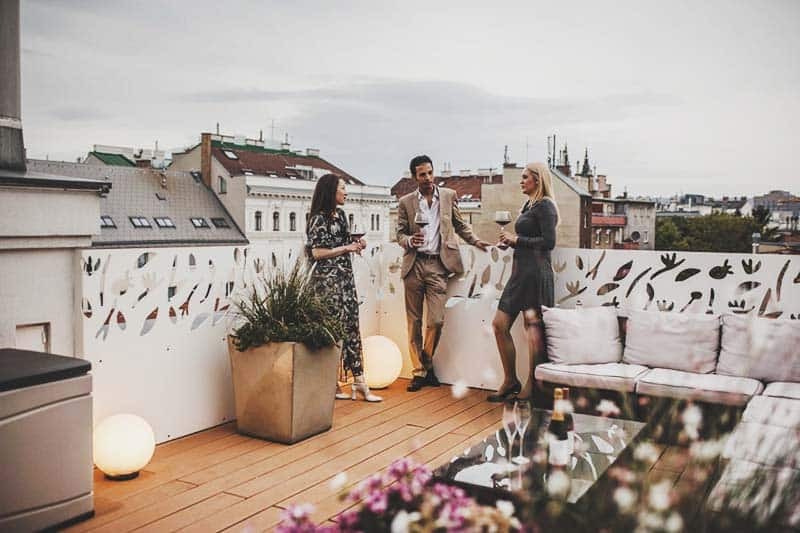 Check here the coolest hostels in Prague. Germany’s capital, paradise for techno music, alternative lifestyle, major key player to the last 60 years of worlds history. 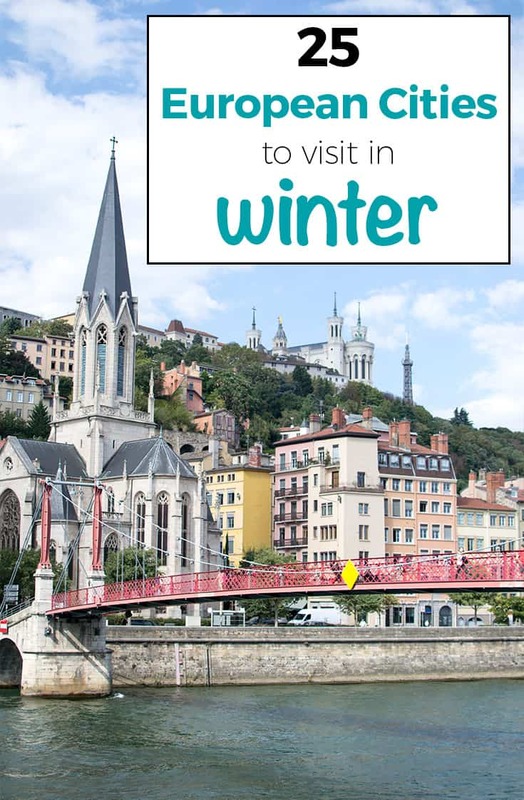 Yes, this city has to be on your bucket list for your European Winter Journey. Berlin has many stories to tell. The colder months are a big part of German culture. Visiting Berlin and Germany between December and April only makes sense. 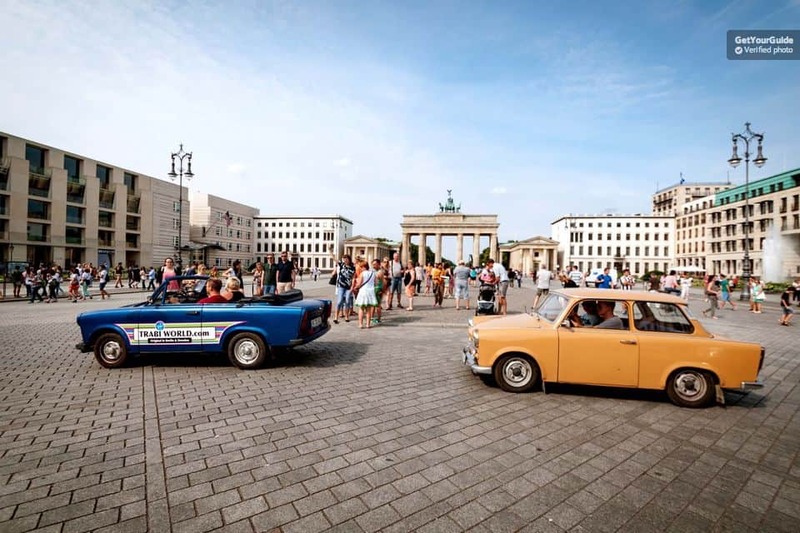 You can have a hot mole wine at the Christmas market, drive an old Trabi car along the historic Berlin wall, and visit endless museums and monuments. Bring super warm clothing, it gets easily -5 degrees in Berlin. To warm up regularly, I recommend to write down some nice cafes, bars and restaurants. Those usually offer hot coco or coffee. Another “PRO” of this: You can try several different delicious cake. Cafés usually offer cakes here in Berlin. Now that I’m writing this, don’t miss trying cake in Germany – in general! How to get to Berlin? It actually goes without saying, Berlin is well connected. You can catch flights from Paris, Amsterdam, London, Madrid and anywhere. It is a hub! Find your flights to Berlin here. Berlin is really big. For me it was quite confusing in the beginning. Now, after I have been there several times, I know now that the best area to stay is around Alexanderplatz and Berlin Mitte. However, there is this stunning hotel is just love. It is the 25 Hours Hotel. It is the latest hip hotel chain. Every single one is unique though! Even if you are not staying here, you can stop by here for a cocktail in their monkey bar. You can find all hotels in Berlin here. Looking for a fun hostel? 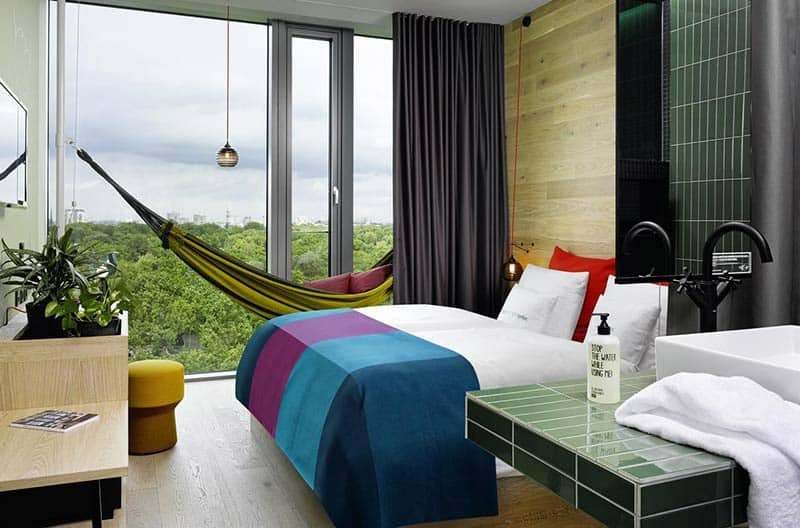 Check out these 3 best hostels in Berlin. 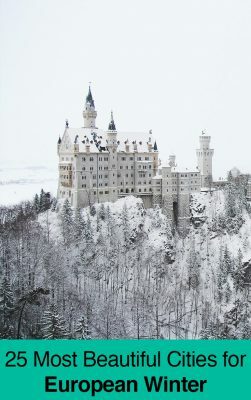 Talking about Germany, do you know Schloss Neuschwanstein? It’s the real-life Disney Castle. It is a magical place, both in winter and summer. Include this as well in your European Winter Itinerary. In winter times, it may be even more fairyland-like. The snow-covered mountains, landscape and castle…that’s a bit of magic there, I can tell you that! This one is definitely recommended for couples and families. How to get to Schloss Neuschwanstein? Best way to get here is by car, train or organized tour. You can come here for instance for a full day trip from Munich. I would recommend renting a car actually. The way to Schloss Neuschwanstein is beautiful and you will find many places you want to stop at and take pictures. For renting a car, I recommend Sixt.com. When you prefer renting a car, you can park your car on a free parking on the bottom of the mountain. You can take a public bus up to the castle, walk for ±45 minutes or take a horse-drawn carriage. Planning to stay in Schwangau or Füssen, near Neuschwanstein Castle? These are the villages around or better to say, below the castle. Find all hotels and apartments here. 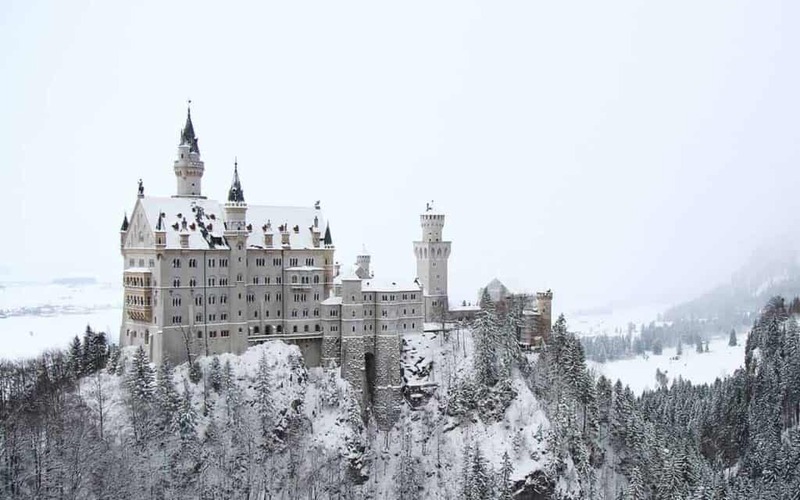 Talking about Germany and Schloss Neuschwanstein, head over to Germany – obviously. Munich is a beautiful city! Wide, nostalgic buildings and a rich and proud Bavarian culture. As said before, it is just a day trip away from Schloss Neuschwanstein and very well known for its famous Oktoberfest at the end of September and beginning of October. The Airport of Munich is well connected. So you can easily find flights here. However, the flights to Munich are generally speaking expensive. My recommendation? Fly into a cheaper destination like Prague, Frankfurt/ Hahn and such. 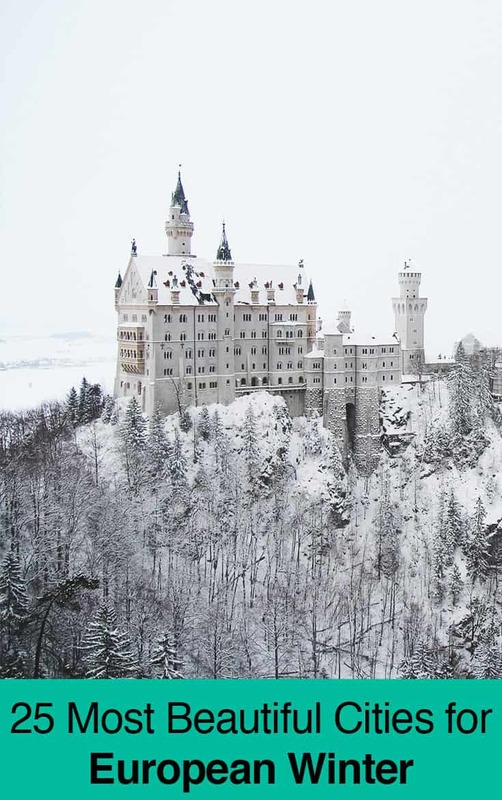 From there you can take the train around Germany, including Munich, Schloss Neuschwanstein. And as mentioned before, there is Prague not far away. You can find the official train schedule with the German Train company here. You can find all flights to Munich here. With Kiwi.com you can just draw a circle over Munich and have a look on the prices. You can also compare flights with Skyscanner. Stay central. Everything around Marienplatz and Stachus is perfect. Here you can find all hotels in Munich. My favorite one is the BEYOND by Geisel Hotel. Why? Some of their have stunning views to Marienplatz directly. Well, you cannot beat that! Traveling more on a budget? Find a detailed guide with the 3 best hostels in Munich here. The little or bigger brother of Munich, that’s Vienna. Vienna is located between Munich and Budapest, perfect for a city break as well. 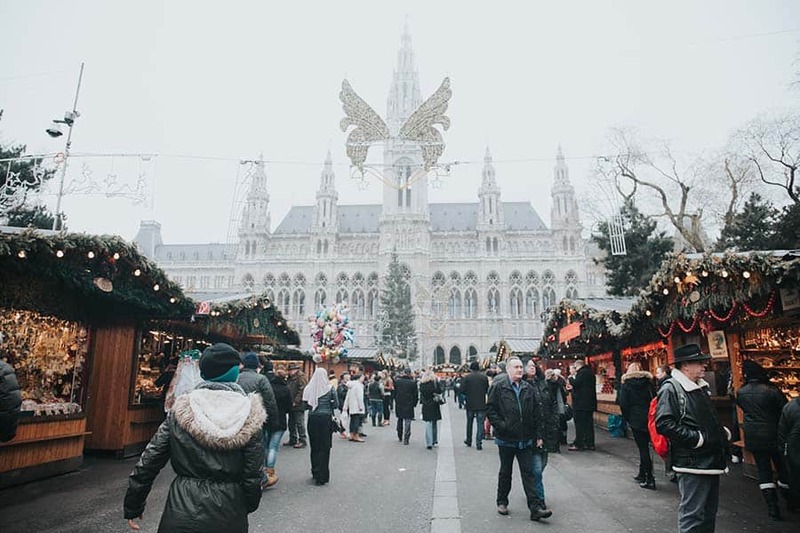 The Christmas market is famous all over Europe, so when you are interested in that…here you go! But even after Christmas, winter times in Vienna can be beautiful. I certainly enjoyed it! How to get to Vienna? Train and flights are again the best options. The trains are heated and you can enjoy a beautiful winter landscape when opting in for the train ride. You can find all train schedules in Austria here. Vienna has quite amazing hotels and fun hostels. 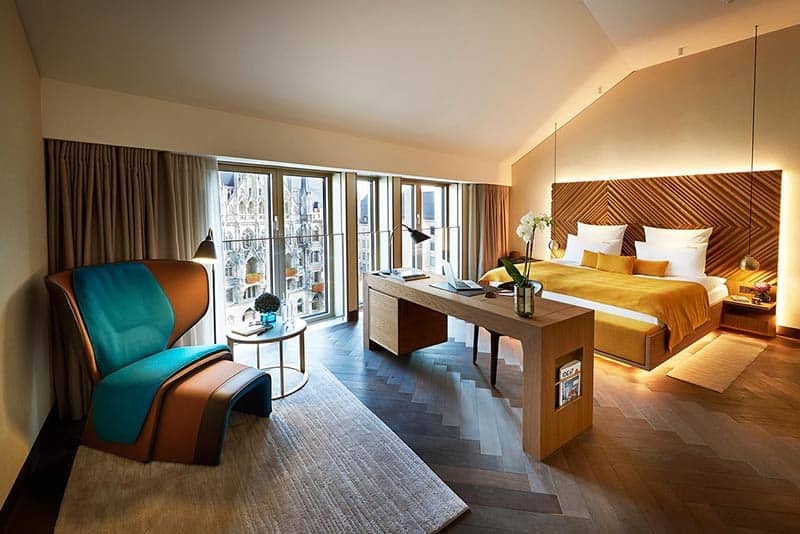 As for a hotel, I love the Hotel Rathaus Wein and Design. The concept is pretty obvious, I suppose. But it’s not just that. I also enjoyed the atmosphere, it is casual, warm, friendly. Last but not least, their terraces plus the enormous rooms. Traveling on a smaller budget? Check the top hostels in Vienna here. This list would not be the same without you! Amsterdam is one of my absolute favorite destinations in the world. It goes the same category as Barcelona, Venice and other worldwide spots. You can come here to party all night long. BUT…you can come here as well to enjoy a long day of rich culture. From art, museums, history, architecture…. No question about it, Amsterdam is very well-connected within Europe and the world. There are numerous of cheap flights here, so this would be my best recommendation. Find your flights with my friends from Kiwi.com. KLM, the Dutch Airline, is based here, and they have sometimes really sweet offers. You can check their official website here. FYI, KLM is a great Airline. It is really recommended, I always love taking them! Soooooo many to choose from. When looking for an apartment, I recommend the B&NOB Sosial Spaces. 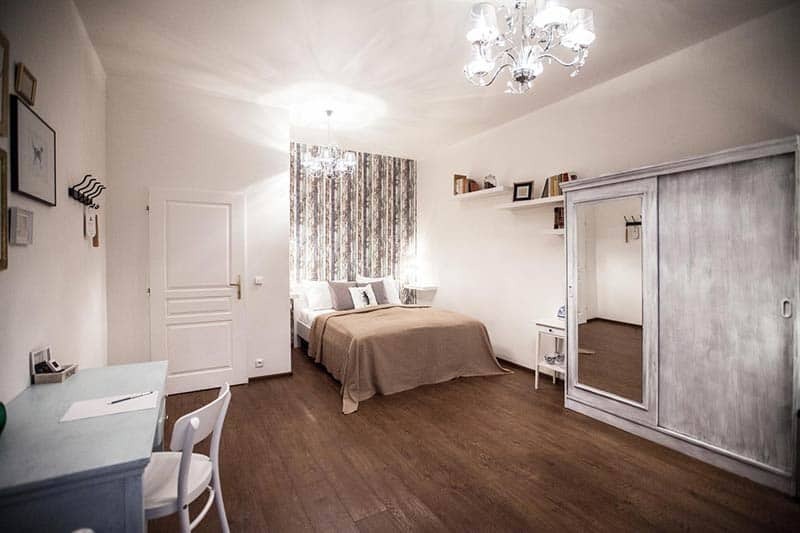 Stylish apartments in the very city center! You can also chose between crazy party hostels up to upscale Boutique Hostels. 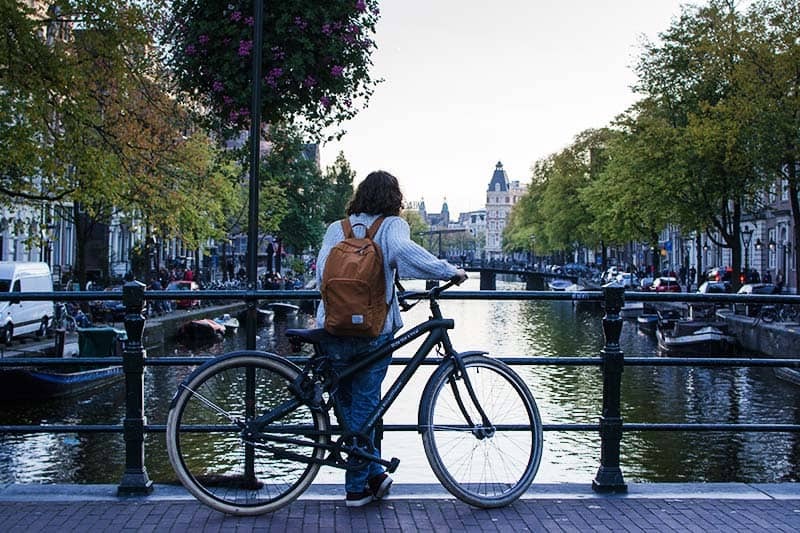 Here is a guide to the best hostels in Amsterdam; compared. Even in the colder month, I LOVE Venice. I never thought I would fall in love with such a touristy city. But once you have been here, there is no way around it. The touristy parts are mainly on Piazza San Marco and the main street taking you from Piazza San Marco to the train station. Go left, go right. And get lost! It is a big part of the Venice experience. Therefore, my best recommendation for Venice would be: don’t plan too much, just enjoy. The only thing I would plan is the visit of the Doge’s Palace and the Basilica Tour. 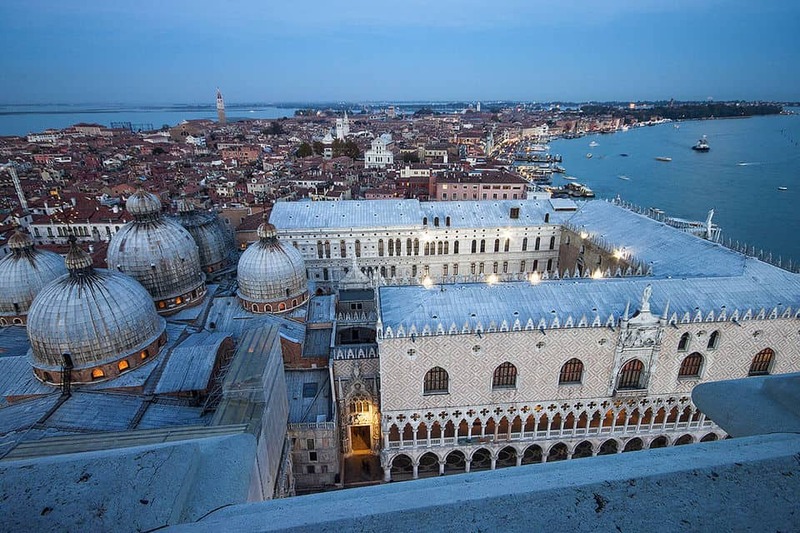 Where to sleep in Venice? Sleep at We Crociferi Hostel. It is recommended for all ages and types of travelers – unless you are looking for party! It is a former monastery, located on the main island. You don’t have to take a ferry to come here. Around the corner you have amazing,non-touristic restaurant. 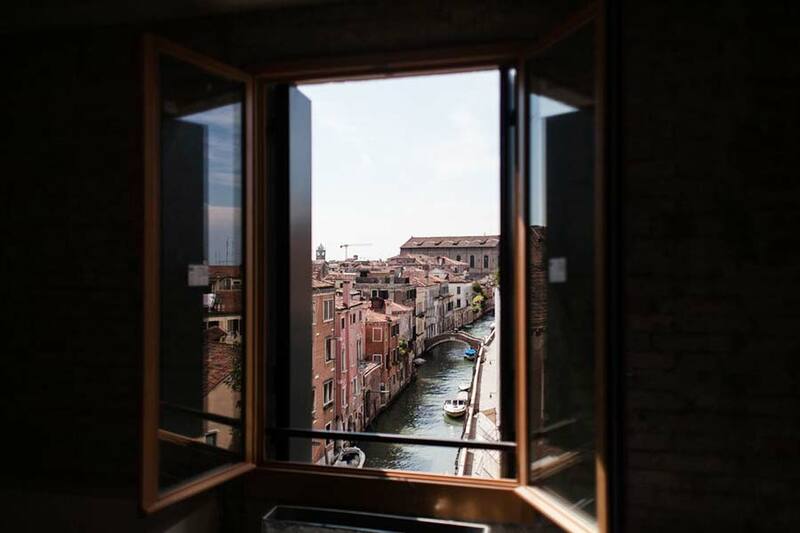 The rooms come with a canal view. It is absolutely amazing! Strasbourg is located in the Eastern part of France, right at the border with Germany. It is a true European hidden gem! The most beautiful area here is “La Petit France”. It is an area with old buildings and canals wandering through the old town. For me it is a romantic city break. 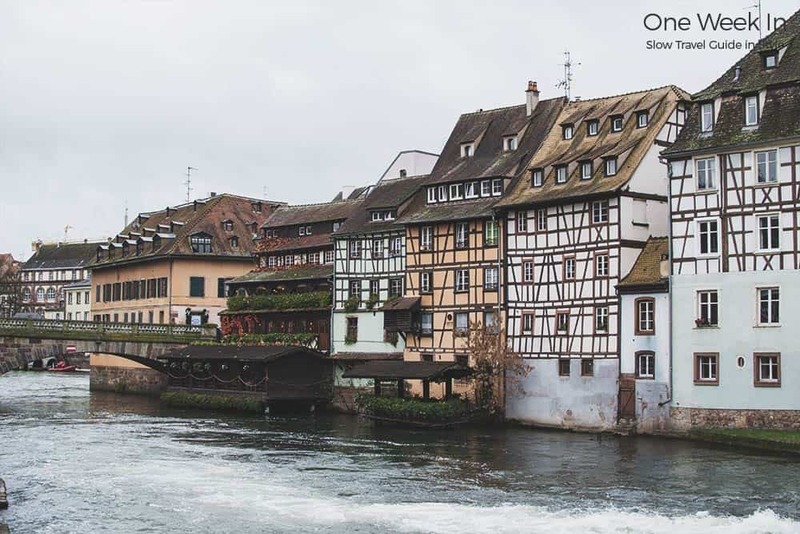 Find my full article on Things to do in Strasbourg here. 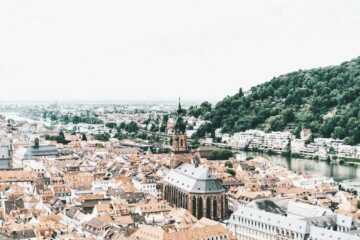 I also wrote up the best 10 instagram spots for Strasbourg. I would stay here for 1 night and move on towards Paris or Switzerland. If you bring a bit more time and are keen to rent a car, head over to the small cities of Colmar and Besancon. 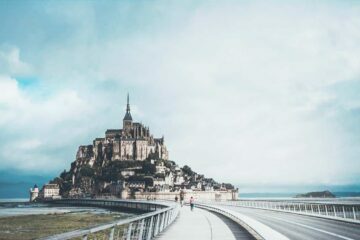 I included them as well in the 35 most beautiful cities to visit in France. 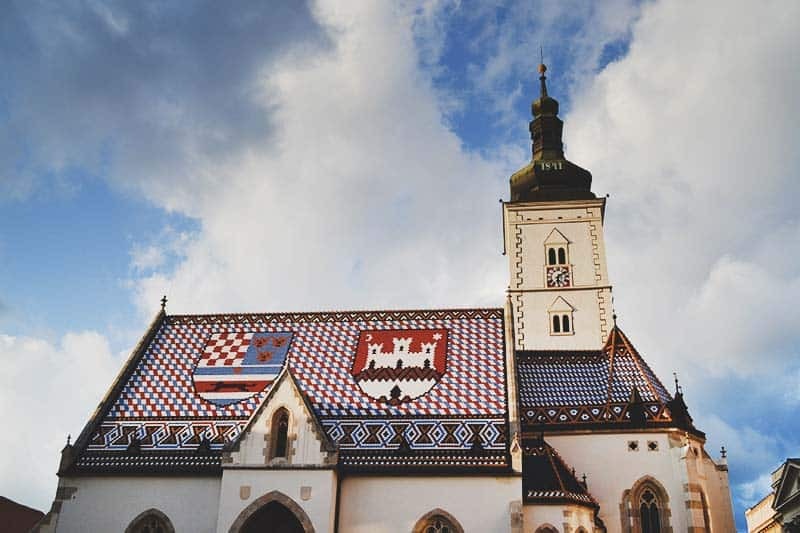 Zagreb is the capital of gorgeous Croatia. Croatia is actually known for its thousands of islands. Sure, those are the best destinations in summer. For winter, I enjoy Zagreb. With all the cafés, the busy nightlife, street art and culture, it is a kind of unexpected joy to be here. You should include this destination in your itinerary when traveling in the Balkans and East Europe. 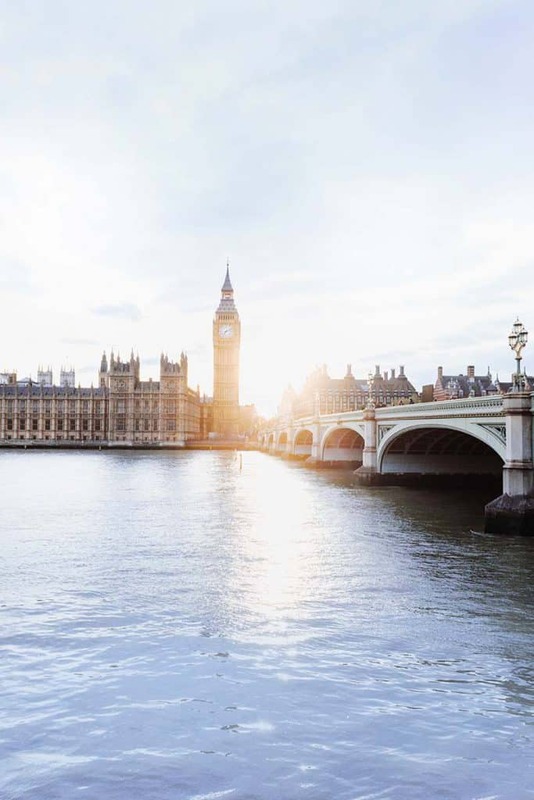 Another top city to visit in Europe during winter is: LONDON! With all their free museums, it is perfect for families and couples. And if you think “nah, museum are boring”, think again! London has museums for EVERYTHING. If you are reaaaaly lucky, you will get a bit of sun shine…but more realistically you will have a grey sky and rain. Nevertheless, we are here for the numerous museums anyway. Here you can find a list of all the free things to do in London. The British Museum is a must-visit! The Science Museum and Natural History Museum even got into an epic twitter-battle of who has the better exhibitions. Super curious to watch what kind of exhibition they feature. The Northern Lights are spectacular. It’s seriously breath-taking. 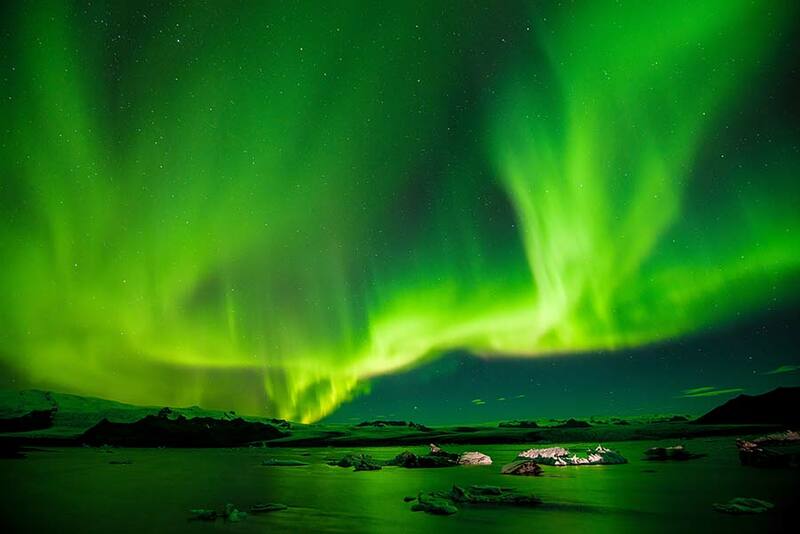 You can only admire the Northern Lights in winter times, and only up in the North of Europe. Therefore, go to Iceland, visit Reykjavik and the whole country. Here is an interesting article to find the Northern Lights in Europe at winter times. Sicily has a mild climate in winter, yet it can get fresh. Here you can find the average climate in Sicily and all other destinations. 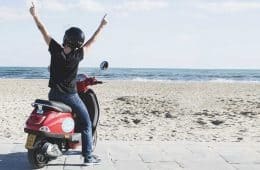 It’s worth it to rent a car and drive all over Sicily – from Palermo to Catania to tiny villages. Although some places remain closed in the off-season, the beauty if the country remains. Take advantage of this! And yes, you can find accommodation all year long, don’t you worry! 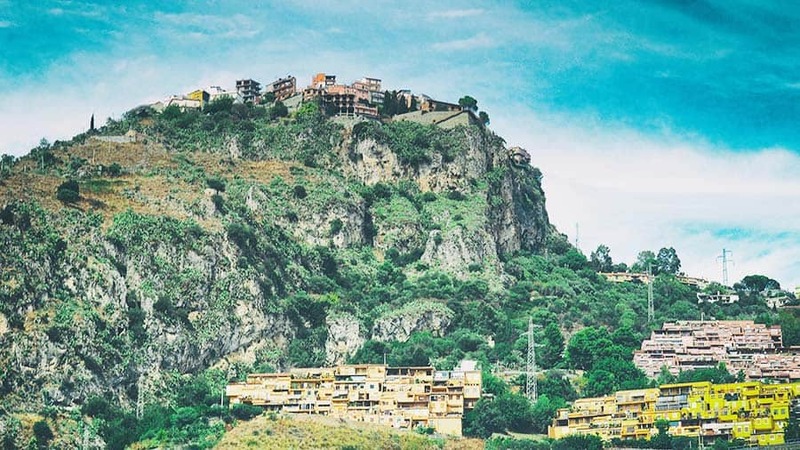 The photo below shows the tiny, beautiful Castelmola, Italy. 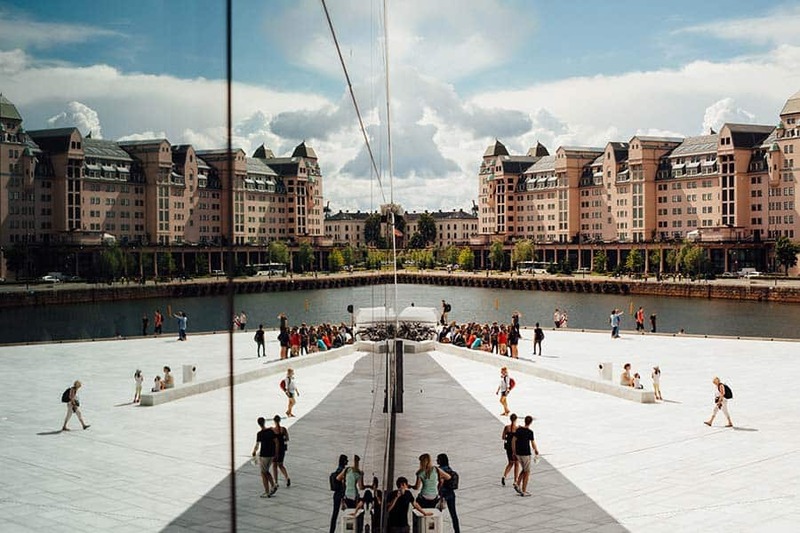 The Norwegian capital has two sides to it. The hills and the center itself. I stayed at a camping site in the hill, overlooking the city of Oslo. Okay, I know, it’s to cold in winter for camping but there are a few hotels around the hill side as well. My nightlight in Oslo was the boat tour as well as the beautiful white Opera House. I sat here at the seashore for hours, reading the books of Jo Nesbø. If I were you, I’d keep an eye on the events of the opera house. Stockholm is surrounded and basically build on water. It is the same story as Venice, yet it’s not that touristy. 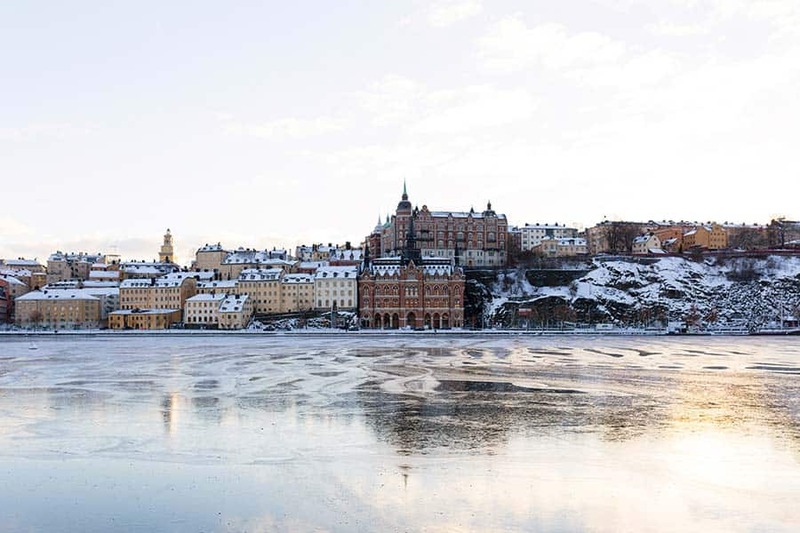 Get lost in the narrow streets, taste different pastries and wander the museums of Stockholm. A must-visit is the ABBA Museum, the Swedish legend. The Drottningholm Palace and the Royal Palace can also not be missed. There is a tourist bus around the city. However, the more fun way to explore Stockholm is by Archipelago cruise. I think it’s more special to visit during the colder months? Why? 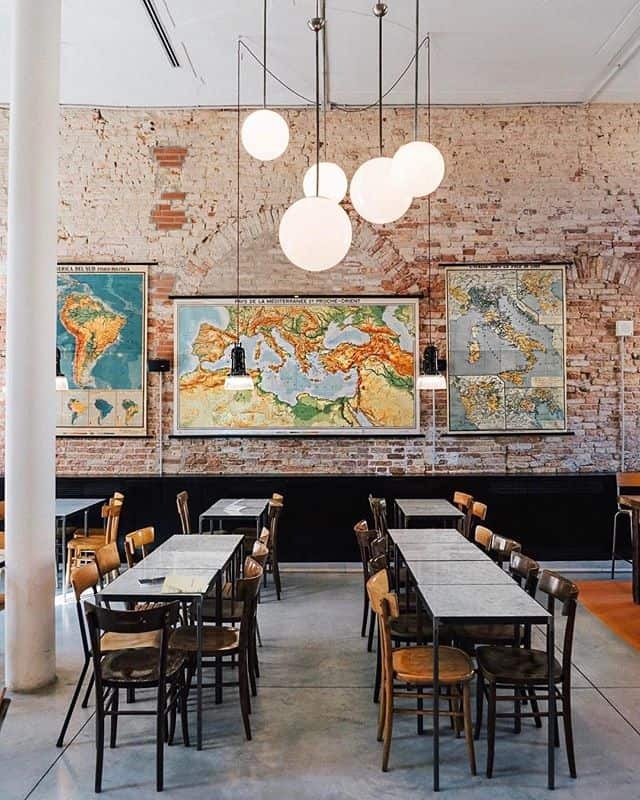 It’s a big part of the Swedish culture, it’s less crowded plus it gives you reason to enter more of their design-led cafes, restaurants and museums. Now it is getting really, really interesting. Moscow, it actually stands for cold weather and lots of snow. In case you have seen photos from Moscow, it is very likely some of them were showing white Moscow. 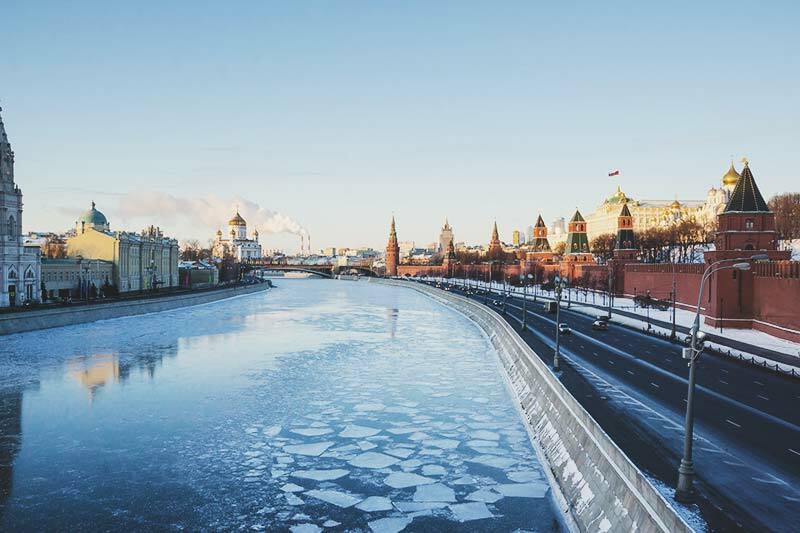 The winter is really tough in Moscow, it is huge part of the culture. Therefore, I think it’s worth it to come over here to experience it for yourself. As it is quite far away to any other major destination, I suggest coming here by plane. 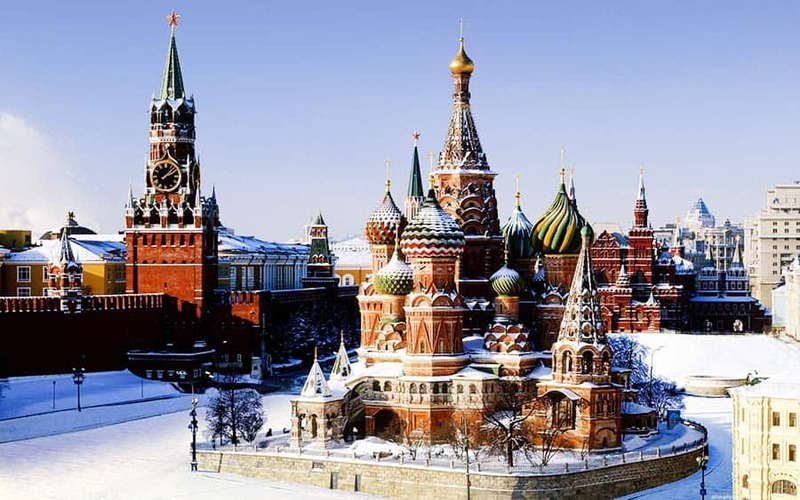 Find all flights to Moscow with Kiwi. 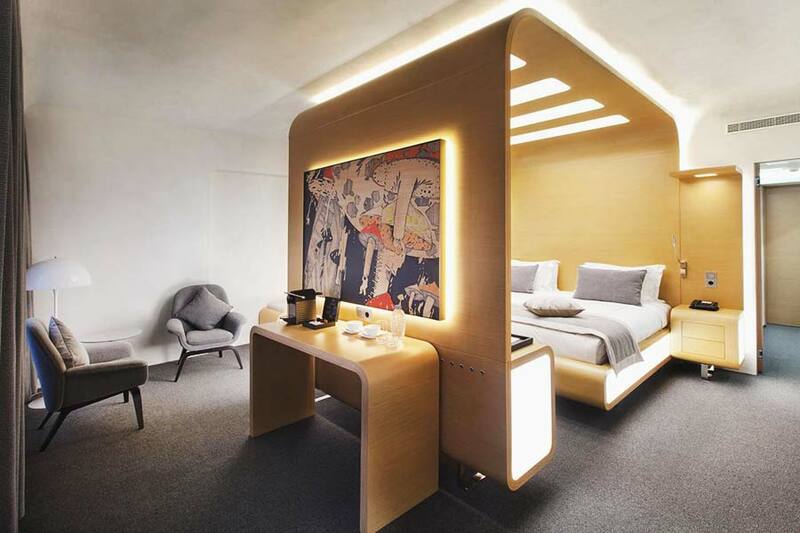 I found StandArt Hotel thanks to the network of Design Hotels. The design is fantastic, same as the service. It is also really affordable! At the moment, Craft beer is very trendy around Europe. And Copenhagen is certainly a hot spot for this. Try to visit a craft beer tour, even if you are not that into beer itself. It is really interesting. CPH is expensive in accommodation. Preferring an apartment? Then get an Airbnb. Here is a 35€ discount for your first AirBnb stay. I already covered Lisbon in this list. But let us not forget about Porto. It is the pearl of the North. Porto and its hilly neighborhoods are one of my favorite hidden gems in Europe. 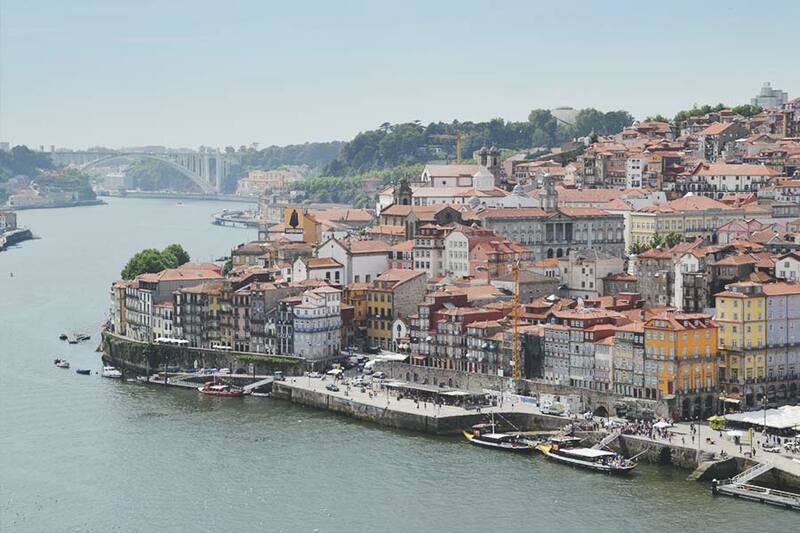 With time moving on, more and more tourists discover Porto. Make sure you come here before it gets too busy. The main highlight of Porto is, quite obviously, tasting a real Port wine. There are numerous wineries in the area. You can even take a cruise to the wineries. Make sure you wander along the rivers bench and take some photos of the Dom Luís I Bridge. Good to know: There is a small cable car bringing you from the bottom of Dom Luís I Bridge up. In my opinion, it’s not worth it the money. It is the Little Paris. Maybe even the “better Paris”? It is definitely less busy than the world famous Paris. Many locals come here to live since it is still a big city, but not too overwhelming. Even in winter times you can wander the old town, go shopping and dive in one of the finest cuisines of the world. Many Michelin-star awarded chefs like Paul Bocuse are from Lyon or live here. So? 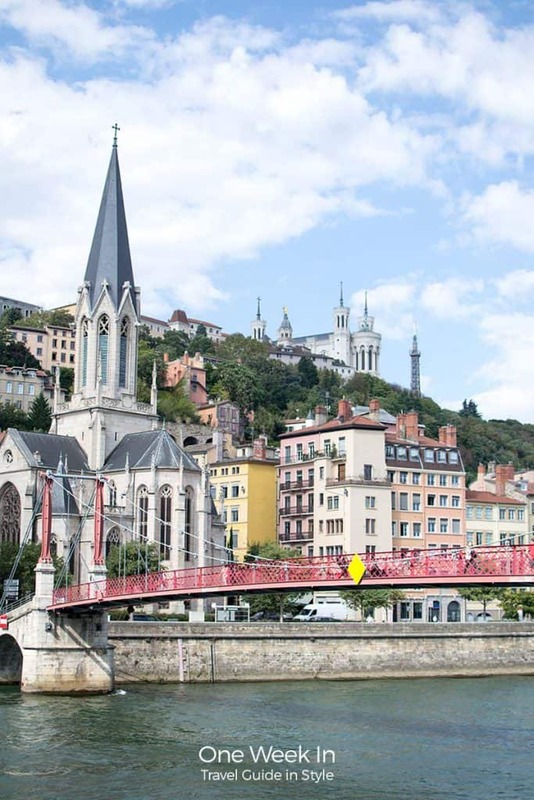 Lyon is a foodie paradise! Talking about food. Head over to the local market “Les Halles de Lyon – Paul Bocuse”. 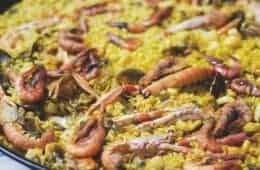 Here you can eat like a queen and king. From the Basílica Notre-Dame de Fourvière you have a beautiful view over the city. 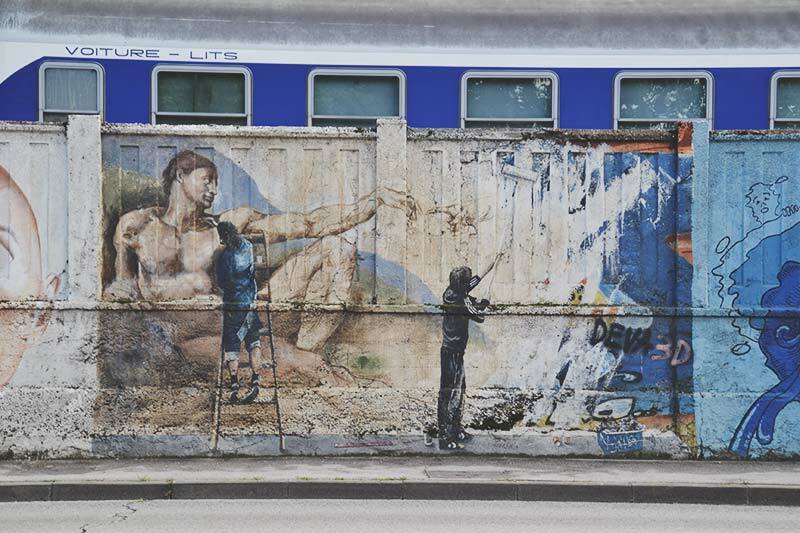 If you are planning to come by car to Lyon, this is where you can also park for free! When you start to get cold feet, head over to Puzzle Café, downtown. It’s a small, cute, hip café with creamy coffee, design-led magazines and super tasty pastries. This list would not be complete without skiing and snowboarding. The best spot to do so is the French and Swiss Alps. In Europe we say, “Skiing the big four: France, Austria, Switzerland, Italy”. You can also go for skiing in the Pyrenees. There you can choose between the French Pyrenees, the Spanish ones or Andorra. First time I visited Budapest? It was February. Deep winter. Everything covered in white, fluffy, cold snow. I visited the “museum of terror” (it was super interesting!) and I ate my way through different restaurants. My highlight however was the Széchenyi Spa. Although it was freezing outside, I visited the SPA. It has an indoor and outdoor area. You can be outside with a lot of things to do. And you can jump inside into the warm when it’s getting to cold. When you are done with the Széchenyi Spa, there are plenty of cafes, restaurants, spas, bars and indoor experiences. I recommend taking a walk up or take the small train to the Budapest Castle. There is an Art Gallery inside. 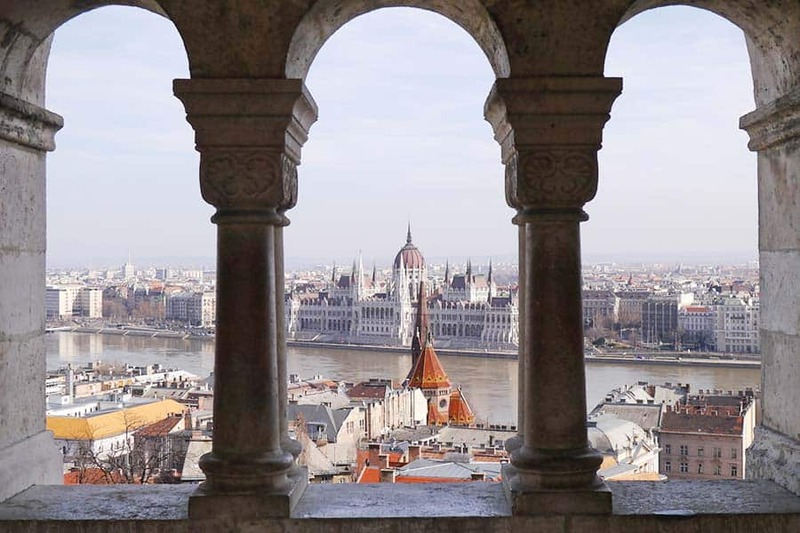 Nearby you can also find the Citadella, a fortification located upon the top of Gellért Hill in Budapest. From both points you have wonderful views over the city. Looking for some nightlife? Well, in Budapest you will find it. There are rural bars and numerous nightclubs. Here is a guide to nightlife in Budapest. The easiest way to get around Europe is by plane and train. However, if you have only One Week in Europe, you do not want to spend most of the time in a vehicle. 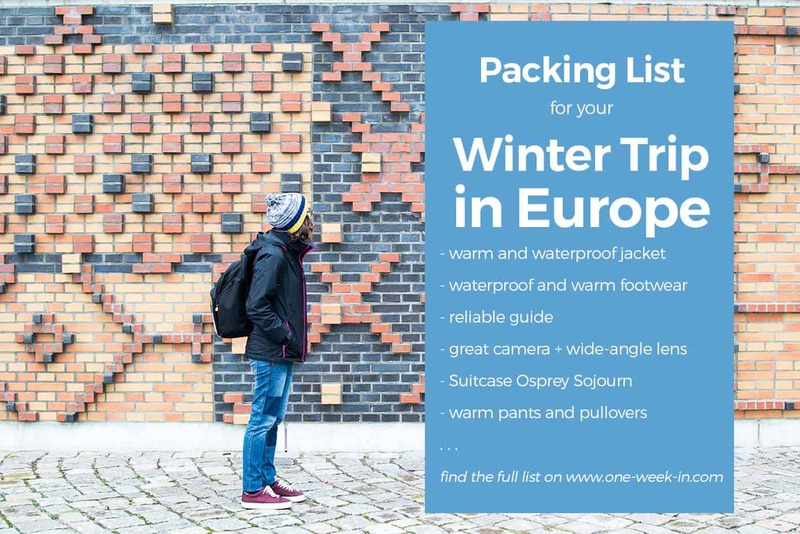 Here are a few itineraries I suggest for when traveling in Europe during winter. Here you have more ideas for itineraries inside Europe. Those are my generic ideas to get the most of out your trip. Not all of them fit into one week though. You can calculate your costs for flights with Kiwi.com. Generally said, every flight under 100€ is a great deal, under 200€ is totally fine. A flight inside of Europe should not be more than 200€. As for trains, there is no generic rule. I am sorry. I would live to give you an estimate for train travel, but it is so diverse. I recommend you to check out RailEurope. They list all trains around the different countries. This way you can get a better understanding of the prices and rates. A word of advise though: Keep an eye on special weekend deals or day-tickets. Sometimes you can get some fantastic deals! Food: General speaking, you can find a daily menu for around 10€-15€, while dinner is around 20€. Accommodation: I would calculate around 70€ and 120€ for a double room in all destinations. It all depends on availability and location. Try to stay as central as possible! This way you are centrally located and you save time in transport. They have the biggest inventory and by far the best prices. Hostelworld is a great option for booking budget accommodations like hostels and guesthouses. Please use my link here for your bookings and Hostelworld. Another awesome website I love to use is Airbnb. Here you can rent a full apartment from locals directly. 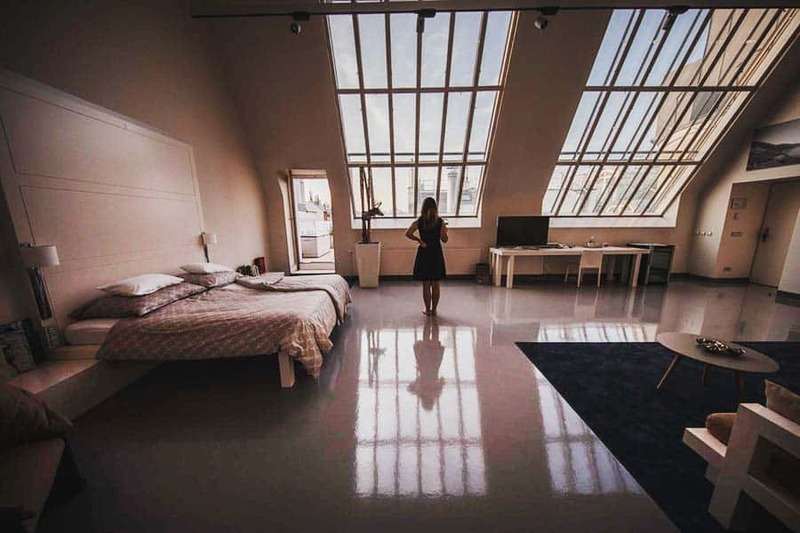 You can also just rent a room inside an apartment. Here you can get a 35€ discount for your first trip with Airbnb. Wherever you go, you will need a jacket. Even in the South with Canary Islands, a light jacket is a must. The closer to the North you are, the more and warmer clothe you will need. Bare in mind, you can always jump into a coffee shop to warm up. This is what I always do. Finally, I summed up all my favorite 25 winter destinations in Europe in one list. Here is another great guide to find winter destinations. I hope my list and the itinerary suggestions are a big help to you. Thanks so much for your words above! Super helpful! My husband and I are studying in Finland from mid August through to mid January. We have time after our study to travel but it has been hard to understand where to go/where not to go in Europe during Winter! Will definitely be checking these out. Hi Matt, I LOVE your information. Would you please tell me your recommendation to stay a hotel in Madrid for 3~4 nights in middle of Jan-2019? Very helpful, there is no Saint James Bridge in Prague though! I must say these are the perfect places for me to explore this winter season. I usually go on holidays to diff places and this article has gave me a wonderful options of places to explore. Great work. Wow this is fantastic information provided, its exciting and i hope to be in one of these exciting places listed once in a lifetime. Hello. I’m from Texas, planning my first European trip the first week of March, and I’m kind of overwhelmed. I would like to experience a train ride, but not opposed to staying in one location for the few days I’ll be in Europe. I’m thinking of either Barcelona or Amsterdam. Can you recommend one over the other? Your list is awesome and I can’t wait to go to all these places, but for now, if you could pick one place for a first-timer, what would it be? Thanks for your help! if you fancy a beautiful train ride, I recommend you to go to Barcelona. Take a train along the coast to Tarragona or Sitges. If you want to visit another city, then take the train ride along the coast from Barcelona to Valencia – BEAUTIFUL! This way you can visit both cities; I love them both personally. Back to your question: If you want a lovely train ride, go with Barcelona. You can also take gorgeous train rides around the Alps in Switzerland and in France from Lyon to Avignon for instance. Safe travels and enjoy Europe, I am sure you will love it! What’s your tip for a first time solo traveler to Europe. 1. Do not get overwhelmed – keep it slow! 3. 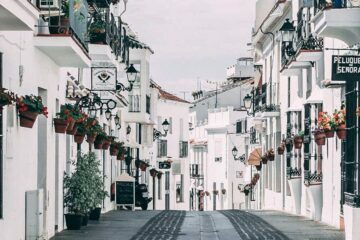 Do you research on sights: Some sights you must book advance, like the Alhambra in Granada, Sagrada Familia in Barcelona, and Caminito del Rey near Malaga. 4. Plan your budget accordingly. 5. Go out of the big 5 cities: Barcelona, Paris, London, Amsterdam and Rome. There is so much more, obviously. Some smaller destinations are jsut amazing and will enrich your experience. For instance, I absolutely love Bologna in Italy and Menorca in Spain. Do you have any specific questions? I would be very happy to help you! Great article! I am planning a trip for my family of five in March of next year. It will include skiing. Out of curiosity, howcome you didn’t mention any destiination in Austria besides Vienna? French and Swiss alps but not the Austrian Alps? I also LOVE Andorra for Skiing! This is an outstanding article.! Very informative and to the point.! I am struggling past few days to decide upon where I want to visit in Europe and your article has solved all my queries!! Thank you so much !! This is my first time writing a review about an article.! But I specially went down till the end to leave a comment because I am truly grateful for this information! Keep writing more !! I am planning to visit Europe in March. Me and my husband were planning for Spain. I read in the comments that you would not prefer Spain in March.. is there some other Destuthat you can suggest us in Europe in March.? Would late March be ok for Spain ? I am sorry about the confusion. 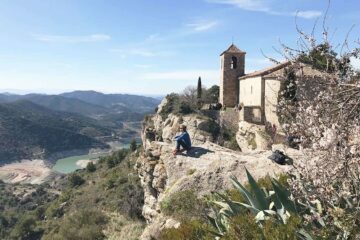 I do love Spain also in March, but if I could choose in a perfect world, I would go in June and September to Spain.These months are PERFECT for me personally. It is warm, less tourists, prices are cheaper, and it’s not super hot like in July or August. What were you thinking about in Spain? I was pondering if we should go to Canary Islands or not ? Our trip is for 8 days. 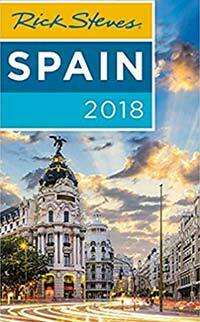 I also wanted to ask you if there are some unexplored, unique and beautiful places in Spain? Oh yes, I did read about that festival. I am looking forward to it. Alicante is new for me. We shall definitely consider it. Thanks a ton! Really appreciate it. Some amazing options here! I really want to visit Amsterdam this summer! I will be in the UK – would you recommend flying or getting the train? I don’t know which option is better for us on a budget? !